Causes of Rheumatoid Arthritis: Are There New Clues? Why do some people get Rheumatoid Arthritis? No one has the entire answer. However, a little piece to the puzzle may have been confirmed last week at the American College of Rheumatology annual Scientific Meeting in Philadelphia. Did you see the news on the insecticide study? Gardening is a risk for RA? Personal insecticide use was associated with an increased risk of what the study called Autoimmune Rheumatic Diseases (Rheumatoid Arthritis and Lupus / SLE). The study looked at post-menopausal women (why do they do these studies on older women, as if they are the typical RA’er?) Even after allowing for other known risks, such as genetic predisposition and history of cigarette smoking, insecticide use was found to be highly correlated with RA and Lupus. The closer the women worked with the household insecticides (i.e. : mixing them, handling them personally), the more likely they were to have RA or Lupus. And the more time they spent with the chemicals, the stronger the connection to ARD (Rheumatoid Arthritis or Lupus). Scientists estimate that genetic factors account for about 50% of the risk for Rheumatoid Arthritis. What is the rest of the puzzle? What else puts us in danger of developing RA? There have been several studies on smoking and Rheumatoid Arthritis (or Psoriatic Arthritis). One study found that for women who have the genes associated with RA, smoking made them 21 times more likely to have anti-CCP antibodies, which are almost always associated with actual Rheumatoid Arthritis. It seems to me that the smoking studies, the insecticide study, and the traffic study all point to the same thing. For some people, exposure to certain environmental factors contributes to the likelihood of RA. I am not a scientist, but since my kids have my genes, I’m telling them to take precautions. Rheumatoid Arthritis and the Kitchen: Hey, We All Eat! How much evidence is there that a bad infection sets off a predisposition? I read somewhere(You would think I could reference my source but I can’t remember where I read it)that a person predisposed to RA can set off the beast with an infection. That happened to both me and my dad. I had an inflammatory lump in my breast and he had a vicious ear infection right before onset of RA. I have not read that specifically about infection. However,that some develop RA after a “major life stressor” – yes. That could be a surgery, a childbirth, a death or divorce, bad car accident… Anyway, we are not talking about the actual cause with these stressors: only triggers. Perhaps the RA would have begun later or not at all; how can we know? We don’t know yet. If you find that reference, please send it to me since that sounds very interesting. Thank you. Kelly, this very subject is why I have asked before, I have a general question for people who have RA? How many of you along with having rhuematoid arthritis also have asthma and acid reflux? If so, do any of you take Advair or a Proton pump inhibitor… please drop me a line and let me know… thanks??? I had asthma and acid reflux before the RA, funny how one may lead to another? I have asthma. I was born with it, I was a preemie. No acid reflux but I also was symptomatic was ankylosing spondylitis since i was very young. Approximately one third of all patients who develop RA undergo complete and permanent remission within 2 years of disease onset, with or without treatment. The course is benign and self-limiting. This is a slow, progressive course with moderate activity interspersed with short episodes of acute arthritis. Periods of acute activity become more sustained with the passage of time. This is also known as the palindromic type of RA, and it affects around 40% of patients. This course affects approximately 20% of patients. It represents an unrelenting, progressive, and destructive form of RA with deformity, disfigurement, and even death. Yes, there are several versions of these categories and slight differences the ways they are distinguished. We have discussed this here. This is the first post about what I call the Courses of RA. It’s good you are reading a lot! That is what I hope to inspire also. Some websites are really solid; some not as much, so be careful. Another issue: we have to be careful about how “old” the information is, since science marches on with research, thank God. I have used almost no insecticides at all, though I also wouldn’t fit into the study group at 24 years old. So from my perspective the study seems limited in usefullness. I do however, have Asthma. I did not have it my whole life though. It seemed to develop a year or two before I started showing RA symptoms, (though they weren’t identified as such at the time). I would be more inclined to believe a relationship between Asthma and RA since both involve an immune system response, but, in any discussion of this type I think we need to bear in mind that correlation is not the same as causation. Astha and RA may have a correlation but I doubt that asthma causes RA. Similarly, Pesticide usage or proximity to pollution may have a correlation with RA, but is their proof of causation? I doubt it based on my anecdotal experience 😉 (I used practically no pesticides and have lived 90% of my life in small towns nowhere near major highways). But…that is worth nothing as well. All that to say, I think searching for environmental causes of RA could be a bit of a wild goose chase given that the backgrounds of people with RA are so widely varied. I have asthma, but I’ve never been on medication for it. I just have an attack occasionally. I did however have several severe ear infections growing up and had a strep infection that caused me to miss my graduation and lasted throughout the following summer before the antibiotics knocked it out. I have always wondered if this had anything to do with my RA. Ao Im sorry we might have toouched on this someplace and I cant find it.. Ive been searching the internet about the possibility for our children to get RA and when should they be tested. how soon does the ra factor show up in blood tests?? My son had showed signs of jra years ago but the tests come up neg.. just last night again his feet and ankle s swelled up .. He is 14.. was born with Spina Bifida. has always had aches and pains so its not like i could follow this jsut form his pain o meter.. Thanks in advance for yout replys yall! It’s very hard to find any statistics about that. I read some once and I can’t even find that article now. There is genetic testing but that is very expensive I think. And even if the genes that come with RA are present, RA may not occur. However, the Rheumatoid Factor test and the anti-CCP tests are much more common/accessible. I’d opt for those if you are suspicious. It won’t hurt him to run them at a checkup. They are not definitive either. You can have the antibody in the blood and not have symptoms or vice versa. But, it’s a good indicator. 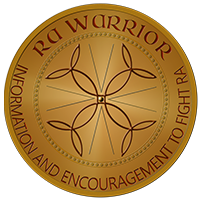 We do have several child/parent with RA in our Facebook group so if you really need to make connections, let me know I can help you there. WOW I just somehow wiped out my post! The subject is something on my mind lately. After reconnecting with many of my high school classmates on Facebook, I have found a REALLY large percentage of us have a chronic illness or cancer or have died from cancer. This seems to be true of other people in the town in which I grew up. The only businesses other than a grocery, a drug store and a couple of banks and shops were chemical plants. Back before restrictions and guidelines were put in place, these plants polluted the air, the water, the ground – everything. I remember seeing pools of stagnant turquoise water outside of the plant where my Daddy worked. The town is now only about 2400 people strong but at the time I was growing up there were maybe 1500. What strikes me as being odd is the high percentage of people who are ill. In a graduating class of 156, over 50% of us have a chronic illness, cancer – or have died from cancer. I do know RA was in my family, my grandmother had it, my sister has it and there may have been others. I just have to wonder how much of this was caused by the chemicals that we breathed, touched, ate, etc each and every day while growing up. They do have guidelines and restrictions now but it is like my own little Silkwood or Love Canal. Thanks for another on the money topic Kelly. I read with interest the notion that chemical exposure might have something to do with RA. For over 30 years I have had high exposure to pollution, and many different chemicals in my previous work environments. Some chemicals had warnings and we wore protective eye gear, but nothing about wearing masks. One chemical was so bad it caused me instant headaches, and I could not even be in the same room. One office I worked in at one point had hazmat come in to redo the office due to the asbestos. 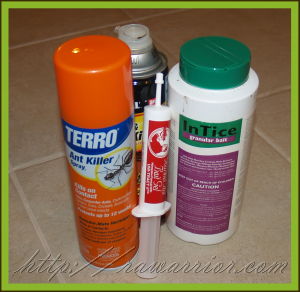 Bug sprays and either professional or store bought were a way of life, due to the area where I lived. I also was exposed to big volume highway traffic and dusty side roads. My husband had two severe diseases, but I never contracted them. I returned to work once again in a previous work environment with some changed chemicals, but still much chemical use. After a pinched nerve and fx vertabrae, the onset of RA took hold of my body. The doctors say it could be anything–Anything?? Umm? I believe there is a strong connection between noxious chemicals and RA. My mother bacame extremely ill when Lindane de-flyer was used in our groccery store many years ago. Unfortunately, she was pregnant with me at the time. Years later, she not only had RA, but Parkinsons Disease as well. Now I have RA…..so I truly believe we are poisoning ourselves with overuse of chemicals. 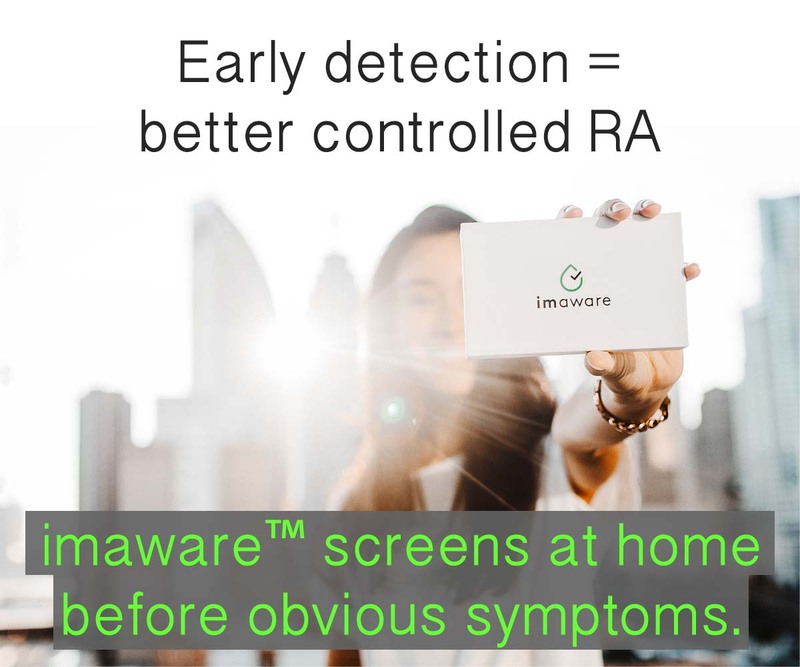 I think I have a genetic predispostion to have RA as I have it, my sister has it, my daughter has it, and it is suspected that my granddaughter has it. I grew up in a town where the main employers were chemical plants (this was before regulations). All were bad, but the fumes from one of the plants was so toxic that it hurt so much to breathe that I tried to hold my breath when passing it. Trucks spraying mosquito insecticide went around town on a regular basis, and because we lived in a hot, humid area where all kinds of unwanted insects live, my mother used pesticides that were so toxic that they were banned years ago. 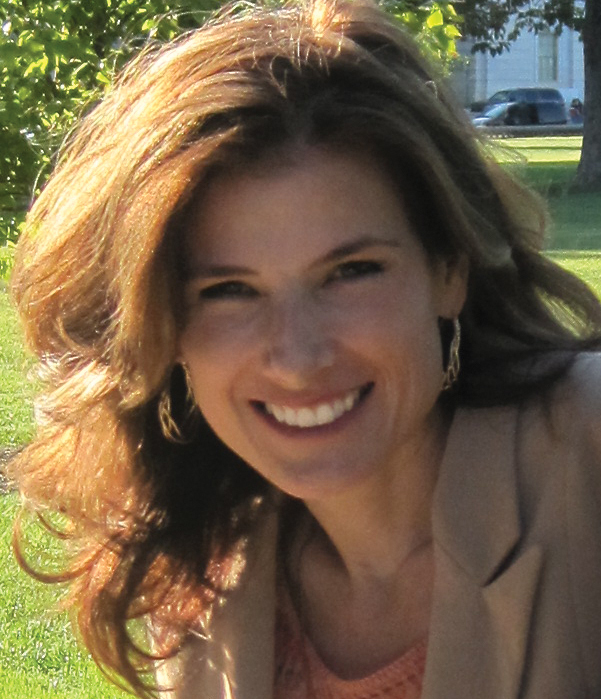 Kelly, thank you for all your work in keeping us current in what research is being done. There is no way my doctors could tell me all this in the amount of time that I am with them. P.S. My dad had RA, too, so definitely seems to be a family connection here. I agree with the idea that pesticides can cause RA. My mother was exposed to Lindane De-Flyer, used in grocery stores. She was pregnant with me at the time and became very ill. Later, she was diagnosed with Parkinsons Disease, and I have RA. I had asthma for years before the onset of RA. Probably Also IBS & Leaky gut. But I’ve had to go on an acid pump inhibitor in recent years. I can also trace my onset to a major life stressor, So I think that when there is a combination of factors….this can trigger the RA. I’m suprised that no-one is mentioning bacterial infection. I know it’s been awhile since anyone posted to this thread, but thought I’d add my thoughts and observations regarding possible triggers for setting of RA. BTW, I’ve been diagnosed for about months now with RA (now confirmed as seronegative) and finally just started actual treatment a few days ago. The diagnosis seems to be a possible explanation and tied into many health issues I’ve had/have, especially over the last 7 years – but I’ll start with mentioning that I have had serious food allergies/sensitivities since I was 12 (I’m 41 now). So I’m curious if there is a tie-in there, as my internet research seems to point to food allergies/insensitivities possibly being tied to auto-immune issues. If there is indeed a “trigger” factor for the onset of RA – mine would be Hurricane Katrina. Needless to say, that incurred a huge amount of stress and, like many New Orleanians, still dealing with the effects and huge amounts of PTSD. 6 months after Katrina I had my appendix out, in a barely functioning hospital and was sent back to my partially flooded, moldy home within 12 hours of surgery. Contracted a bad staph infection – 6 years of a nasty, painful, recurring breast abscess, countless rounds of antibiotics that would only clear it up for a short time. I have been abscess free for about a year now (finally cleared it up with compresses of benonite clay and turmeric, along with taking turmeric internally), but I woudn’t be surprised if the staph is still in my system. Residual effects of Katrina = a lot of time spent helping clean houses filled with black mold. Constant efforts dealing with black mold in my own home… the stuff is really hard to get rid of – I’d actually “switch out” the AC in our bedroom every month because turning it off for a month and bleaching it daily was the only way to remove black mold buildup. We could definitely notice the effects of black mold on our systems. Add in all the toxic chemicals Katrina necessitated. I’ve always had issues with chemicals and for most of my life have stuck to natural alternatives, but, esp. in a Katrina type situation, it becomes impossible to avoid all exposure. So add in months of having to step in bleach every time you enter the house, excessive use of deet due to the huge swarms of mosquitos, gnats, flies, you name it (I now can no longer tolerate deet at all, thankfully recently made a friend who makes an all herbal bug repellant that actually works and doesn’t contain citronella, which also makes me sick). Plus whatever the hell the city was spraying on us from above with low-flying airplanes… it was more than mosquito stuff, when we’d see the planes we would all run for cover because whatever that stuff was it literally burned and gagged you. During the ensuing 7 years, I had numerous “mysterious ailments”, then my knee blew out, my back started deteriorating (sciatica, herniated discs), and slowly I lost more and more energy. Then the numbness, stiffness, etc. started up – which is what eventually led to diagnosis of RA. So I am very curious as to how the effects of a majorly stressful, PTSD inducing event, long term exposure to toxic black mold and toxic chemicals and food sensitivities factor as possible RA triggers. Needless to say, I avoid as many chemicals as I can (my husband teases me about trying to save the planet… which IS and always has been part of my reasons for using natural products… but now I tell him to shut up because it is helping save ME), but apparently the damage is already done. Sorry for the lengthy note… as I mentioned, have finally navigated our dysfunctional medical system (sans insurance) far enough to actually get a diagnosis and start treatment… meaning for the last two weeks I’ve been on my first “Prednisone Holiday” and can actually type without pain 🙂 Prednisone has to go bye-bye soon so in the meantime I’m enjoying feeling more like a human being again than I’ve felt for years. Is it a coincidence when I went from peri-menopausal to menopausal AND handled TERO for the first time last spring- 4/12 I started having minor RA symptoms, then I handled it again mid summer- 7/12 before I left home for a 2 month break in which I had moderate symptoms within a month 8/12 and when I got back handled more TERO 9/12 at which point between then and now I have pain, swelling in both knees wrists, fingers, neck, back, etc. Last week I could take a bath, use the toilet, this week I couldn’t get out of the tub, or get off the toilet with hoisting myself up/out/off with my hands/arms/shoulder. And now my shoulders ache so bad I can’t lift them higher than waist level. I am hiding this from my boss as I work for the federal government as a Ranger, but people are starting to notice my shuffling gait and twisted fingers. I have an interesting history relating to this article. About 15 yrs ago I was cleaning up ancient bottles in our concrete floored garage.. i dropped one, it was a dark glass bottle marked Malathion and had to be at least 50 years old. It shattered on impact and tore a huge chunk out of my ankle. blood everywhere, horrible stink etc. The wound took a long time to heal and for a full 6 months, every time I bathed I would smell the poison in the water as I cleansed my ankle. My doc at the time wasn’t too concerned, either. His comment was just.. “a good thing you don’t have wings, huh?”. Since that accident, i have had horrible pain, the veins in my leg stand out and are bulbous ugly and painful. I have RA PsA and had a mild stroke about 8 weeks ago. Now they have added nitroglycerin for heart / shoulder pain. I have always figured it( The malathion incident ) probably had something to do with my illnesses. Well, thought I’d add my thoughts to the article. Thanks for reading, have a great day ! I just read this and it hit a cord that may bring us further down the road to what you were thinking in the front article. I am a welder and I had my FACE in a helmet right in front of all that welding smoke(pollution) and developed RA soon after our shop started doing aluminum welding. Which has more smoke than normal welding. I was thinking that maybe the TRIGGER is a metallic pollution like the LEAD that was in gasoline and is now removed( as in UNLEADED). That this metallic compound gets in through the lungs and attaches to the joint tissues and then the immune response is to attack it to remove the irritant thus the disorder continues until all affected tissues are destroyed..